Do you live and work in an area that has more homeless dogs than can be adopted back into your community? 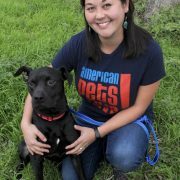 Clare Callison of Austin Pets Alive! will take you on her journey, from walking the euthanasia list to finding ways to transport dozens of dogs per month. Hear how your average "Texas brown dogs" are making a big splash in places as far as Oregon, Connecticut, and even Italy!